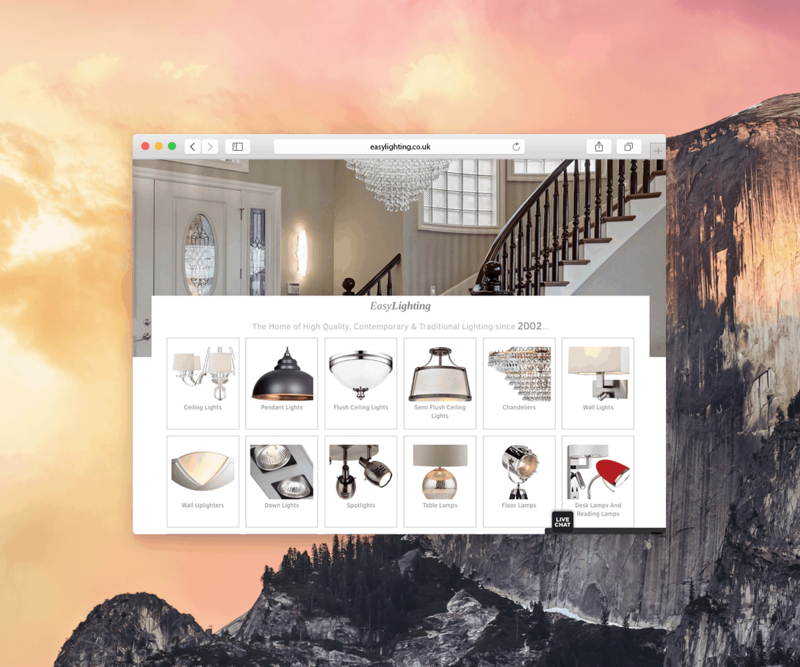 Long term client TDK approached Creativeworld to redevelop the website for their successful lighting company ‘Easylighting’. 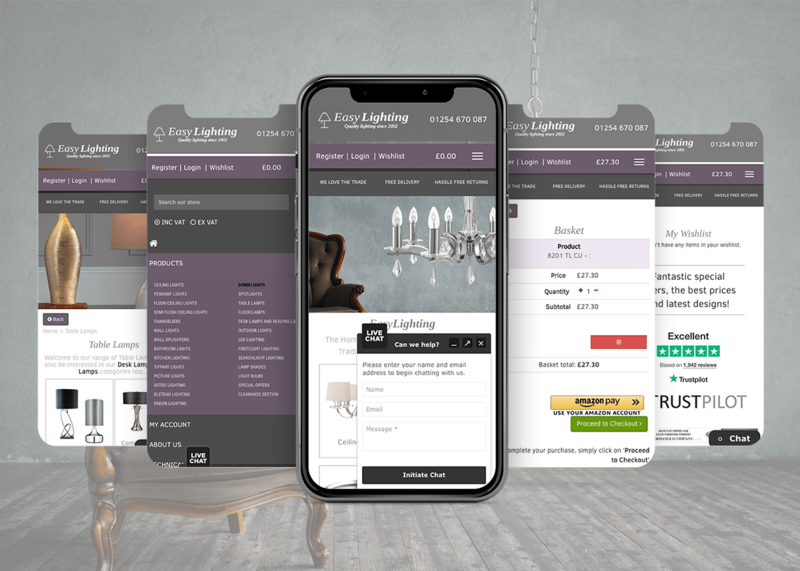 The new Easylighting eCommerce website was built with a fully responsive framework to ensure we created a seamless browsing experience for users shopping on different mobile devices. 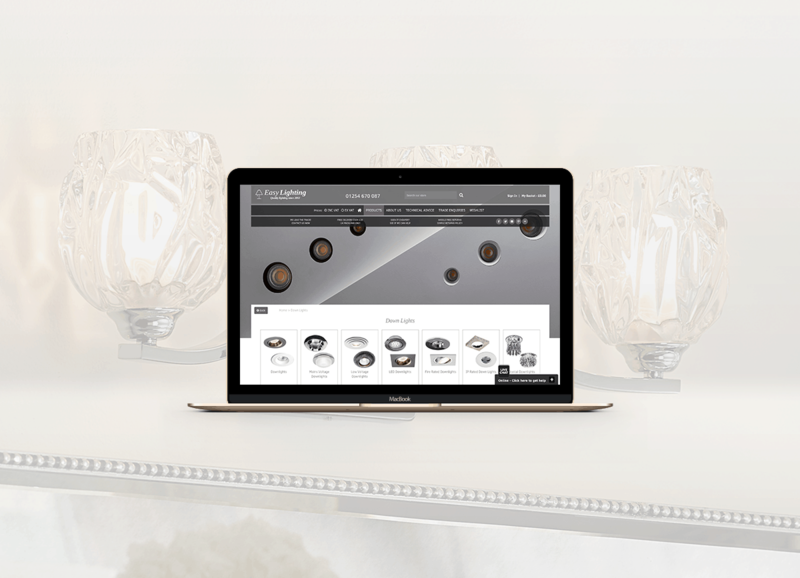 The design was also refreshed to be more ‘lifestyle’ focused, creating a source of interior inspiration for shoppers using the site with a rotating image carousel. These updates included a change of company logos and web colour palette to be more in-keeping with current trends. We worked closely with TDK to ensure the website meets the needs of their customers, this included the most up to date payment systems to enable seamless transactions. Amazon Pay, PayPal and Braintree were among these systems implemented to create a secure and hassle free shopping experience for their users. On the new website we included a new, more expansive menu system which allows the user to easily navigate to products immediately as they land on the website. A new Wishlist feature was added to allow users to save products for later within their account. Many improvements were also made to the bespoke content management system to enable the staff at TDK to continue to provide an excellent service for the Easylighting customers. 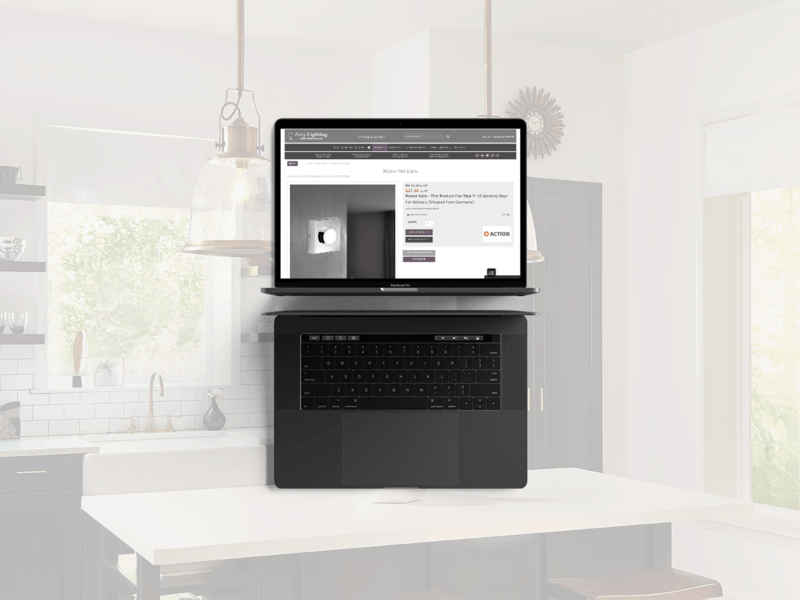 As Google are very strict with their website search algorithms, it is no secret having a mobile friendly website is favoured over one that isn’t, as a trustworthy, relevant source of content – the newly renovated Easylighting site has been futureproofed to ensure they remain a top UK seller of quality lighting and complementary accessories.